While hiring professionals to remove a very small tree might cost as little as $200, for any decent-size mature tree, start thinking four figures, as in $1,000 and up. And that may or may not include extras, like stump removal or special hazards like dealing with power lines. So, tree removal is not cheap, but there are good reasons why. There are also good reasons why you should get multiple quotes from different local companies. Pricing for this service is anything but universal, and you're likely to get different quotes from equally qualified bidders. Getting multiple quotes is the best way to ensure a fair price. Tree removal specialists arrive with all the equipment necessary to take down a tree safely. As a homeowner, it's very difficult to estimate how much it might cost to remove a tree based on averaged costs, because there are many factors that can impact the price of each job. The basic variables are the size, location and condition of the tree. Bigger trees cost more than smaller trees to remove, of course. If the tree is easily accessible and has plenty of room around it for dropping limbs and dealing with debris, the job will cost less than if the tree is in a tight spot in the back corner of your lot. The condition of the tree can affect the safety of the work: Climbing and cutting down a live, healthy tree is safer than performing the same work on a diseased, damaged or dead tree, so the former is usually less expensive. In some instances, a very robust tree might cost more because of its strength and weight. Hazards: Trees near power lines require special care and may require the involvement of the utility company. Trees near homes or other buildings or large limbs hanging over streets or sidewalks require additional precautions and often more workers. Obstacles: Trees that have grown into fences or other structures can be more difficult and costly to remove. Access: If a tree can be reached only by climbers with ropes, it may cost more to remove than if the tree is in a front yard near the street or a driveway that allows easy access with a bucket lift and other equipment. Extra labor required for hauling out debris from a remote location also adds cost. 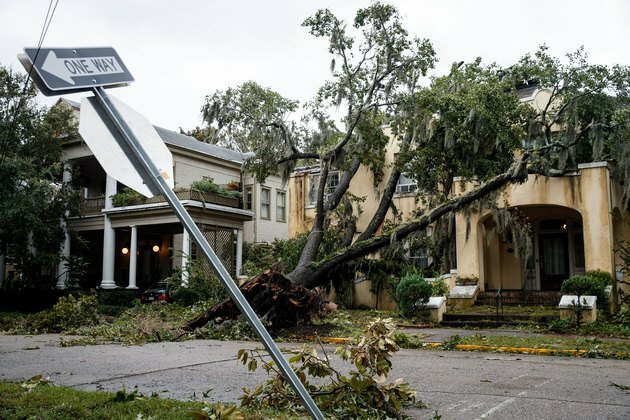 Emergencies: You may have to pay a premium to have a tree removed after a big storm or for emergency situations, such when a tree has fallen on your house. Extra services: Many tree companies price debris removal separately from the cutting down of the tree. In this case, you may pay extra to have the limbs and trunk removed or cut up once they're on the ground. Most tree removal prices do not include stump grinding, which can add $150 to $350 to the cost of the job. Tree removal after a big local storm may be more expensive than usual. 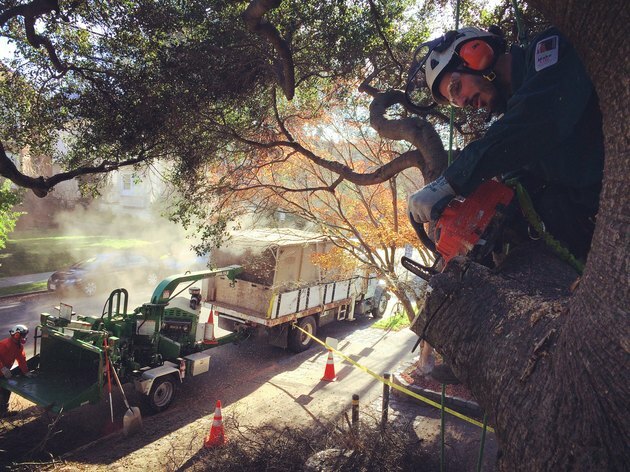 The high cost of tree removal reflects the many hazards of the job (and related insurance costs), the specialized skills and equipment required and the sheer labor of the project. If you're a seasonal shrub or tree pruner, you know how much work that little haircut and debris cleanup can involve. You can imagine how long it takes to chop up and get rid of an entire tree by yourself—and that's on top of all the heavy and hazardous work that comes first. Few homeowners want consider tacking such a job by themselves. Tree companies know this—just as plumbers know how much people dislike cleaning out their own sewer lines—and they charge accordingly. But to be fair, tree removal is extremely dangerous work if you don't know what you're doing (and who does?) and don't have the right equipment. Sure, $2,000 is a lot to spend on an old dead tree, but if that tree fell on your house (or on your neighbor's house, or on you), it would cost a great lot more. 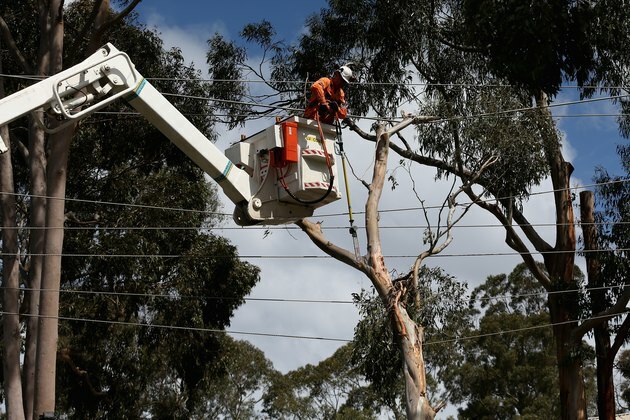 Tree removal around power lines is more time-consuming and costly. On the subject of personal liability, it's a very bad idea to use a tree removal service that bids significantly lower than its competitors and seems to lack the usual credentials—namely, insurance. If a random character knocks on your door and offers to fell your tree for a temptingly low price, there's very little chance the person is properly qualified or insured. That means that if there's a problem during the removal, you could be held responsible, not only for damage done by the tree but also for any injuries suffered by the tree-removal crew. Leave the stump or grind it yourself. 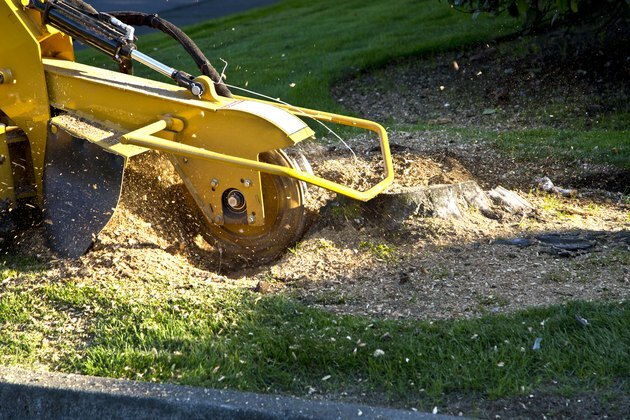 Stump grinding starts at about $100 or $2 to $3 per inch of diameter (measuring all the way around the exposed portion of the stump) and can quickly add up to $300 or more. To save money, you can opt to leave the stump in place, or you can rent a stump grinder and remove it yourself. Rental costs run about $100 to $150 per day, so the DIY approach makes the most sense if you have multiple stumps to remove. Tackle the debris yourself. If you're willing to dispose of the branches and cut limbs yourself, you may be able to negotiate for a lower price. Just be aware of how much labor is involved. Keep the wood for firewood. Some companies charge extra to take away the bulk of the solid wood. 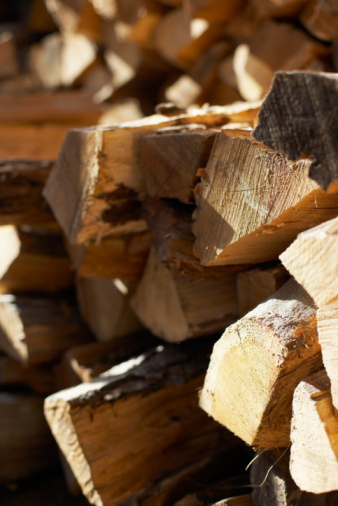 If you're able to cut it up, split it and store it for firewood, you can save on the tree removal and get some free firewood at the same time. Get bids from small companies. Large tree service companies don't necessarily charge more, but often that is the case. When getting multiple bids for the work, be sure to include one or two small operations (companies with adequate insurance, of course). One good climber and a small ground crew can take down most trees as effectively a large operation, even if it takes them a little longer. Ask about group discounts. Tree companies often give discounts for jobs removing multiple trees, since they're already on-site and can keep their crew busy for a longer time. If you have more than one tree that may need to go, it can be cheapest to have them all removed at the same time. Grinding a stump is the best, and often the only, way to remove it. Philip Schmidt is author of Install Your Own Solar Panels, The Complete Guide to Treehouses, and 18 other home-related how-to books. A former carpenter, he has been a full-time writer and editor for over two decades, teaching DIYers about houses and everything we do with them.